Last year, the speedway opened their sites free of charge to evacuees of Hurricane Irma. 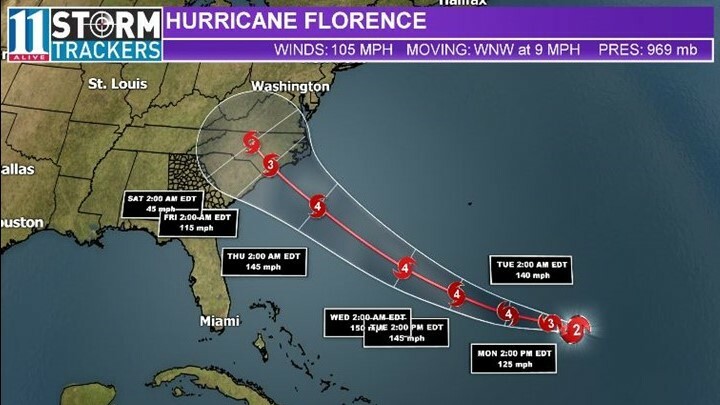 Now, they're doing the same thing for Florence evacuees. 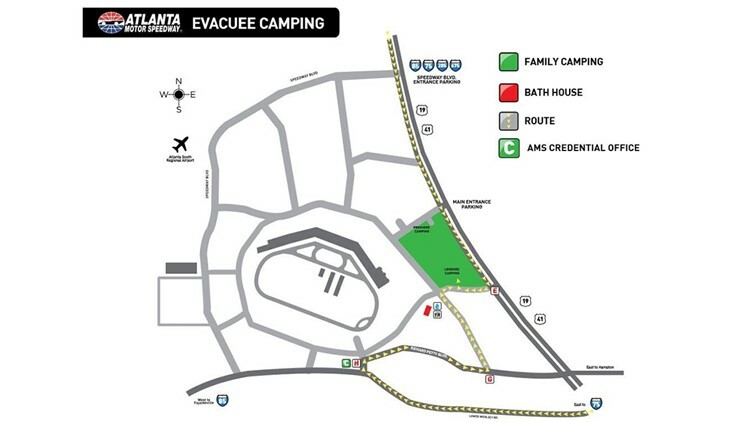 HAMPTON, Ga. – The Atlanta Motor Speedway is again opening its campsites to hurricane evacuees. The Premier Campground is located adjacent to the Legends campground and campers should enter the facility at the main entrance off GA Highway 19/41. The Premier Campground is on the left at the AMS security command post. From I-75 and GA Highway 20, campers should see signs to AMS and follow Lower Woolsey road to Entrance "H" and the Speedway Credential Building. Make a right into Speedway property and then another immediate right onto Richard Petty Boulevard. Follow Richard Petty Boulevard and turn left into Entrance "G." The Premier campground will be on the right. Atlanta Motor Speedway is located approximately 25 miles south of Atlanta. For on-site assistance or directions, you can visit the ticket office and gift store building. For more information, you can contact Atlanta Motor Speedway at (770) 946-4211 or visit www.atlantamotorspeedway.com.